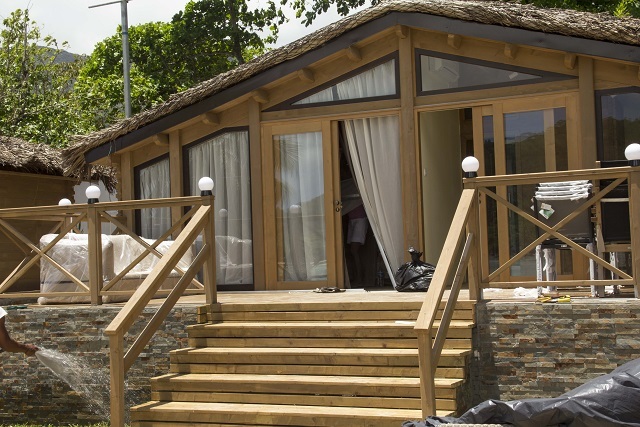 (Seychelles News Agency) - The Seychelles, a group of islands in the western Indian Ocean largely dependent on tourism, will get a new window for the attraction for tourists from its Russian market with the filming of the country’s popular reality show “Dom 2” [House 2] on its shores. “Dom 2”, which similar to the world-known “Big Brother” reality show, is the most popular reality show in Russia, which started in 2004 and has been running until today. It is an unscripted show in which contestants have to build a house and try to find a loving partner at the same time. The main prize is awarded to the one person among the participants who receive the most votes through various voting mechanisms, in which the viewers can participate. Out of so many tropical places in the world, the small island nation was selected by the general producer Aleksei Mihailovski for the show which has dominated the television schedule in Russia for the past 8 years. Filming on location in Seychelles started in October last year. This came about after Mihailovski visited the islands while meeting with some business partners. “Nature is different here than that of other islands. In simple words, it is really beautiful here,” Mihailovski told SNA during an interview on L’Islette island, a small rocky island with no inhabitants, off the coast of Port Glaud, a coastal village on the west of main island of Mahe. The beauty of Seychelles is not the only factor that influenced the selection; Seychelles and Moscow are in the same time zone, even though Moscow is an hour behind Seychelles. 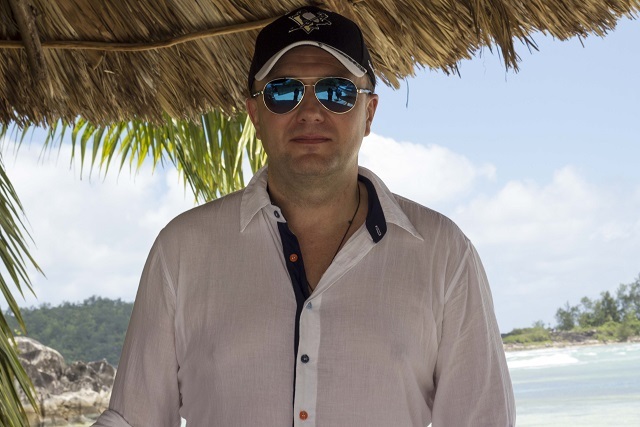 There are currently three filming sites for the show; two in Moscow, Russia and the third in Seychelles known as “Ostrov Lubvi” which translated to “The Island of Love,” with the primary location for filming in Seychelles being on L’Islette. 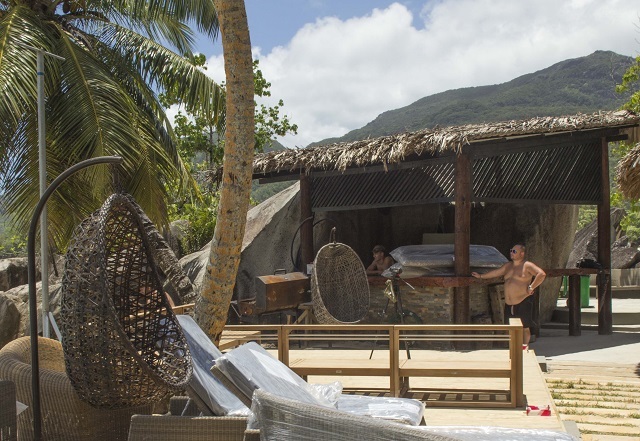 Getting permission to film on L’Islette was a challenge for the 50 filming crew members from Solaris Promo Production, so a few months ago, the reality show was being shot on Ile Therese, another island behind L’Islette and on various sites on Mahe. The ownership of L’Islette island is meanwhile being contested in the Seychelles Supreme Court by Yves Maurel and his mother Angelika Maurel, who previously owned the island, in a case against the current owner, Mary Geers, asserting the sale was fraudulent. 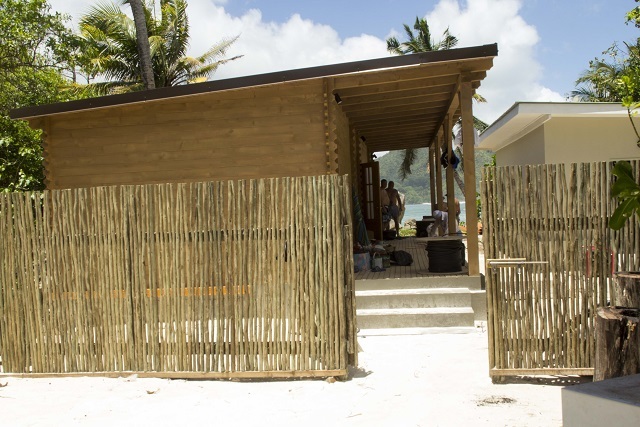 According to the general producer, the participants have been spending their nights at a villa at Anse Baleine in the Anse Royale district on the eastern coast of Mahe, since construction of accommodation on L'Islette has not been completed. Since the start of filming in Seychelles, the nine participants get to go on various romantic dates, to restaurants, to a waterfall at Port Glaud and other beautiful natural sites of Mahe. “We have an audience of over 45 million people watching “Dom 2” and a lot of them have learnt about Seychelles [through the show]. We show that the Seychelles is beautiful, warm, people are welcoming and everyone is nice,” commented one of the participants Evgeni Kuzin. Although “Dom 2” is well known amongst young Russians between 16 to 30 years of age, it has received quite a lot of criticism for its loose moral values from people of various walks of life; largely from viewers, journalists, writers, media experts and religious leaders. Many have asked the show to close down due to its questionable influence on the younger generation. Although it is being filmed in Seychelles, the show is presently not being aired on local television network. However, the filming crew are willing to add English subtitles to the once-a-week- report they were planning to show to the public in Seychelles. “I think Seychellois will be interested in watching when Seychellois will be participating in the show,” reflected the general producer. 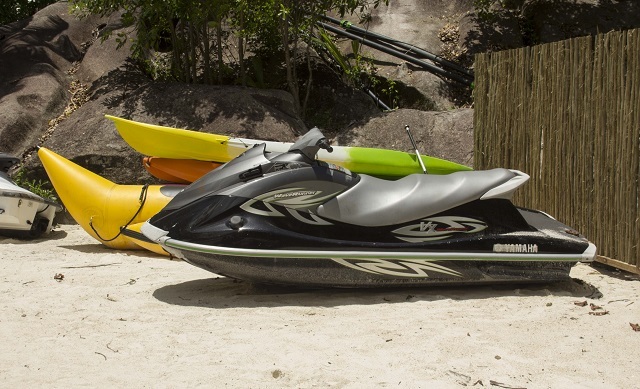 Even if at the moment, there aren’t any Seychellois contestants taking part in the show, casting for the local market is an option on the table. “Our casting group would come here and select Seychellois. Seychellois will have to go to Moscow first and take part in the show there, maybe they might meet someone from Russia there...and [then] they can come to Seychelles. That will be a great story,” commented the general producer. Mihailovski explained that foreigners are not new to the show. There have been participants from the Ukraine, Belarus, Spain, Turkey, Africa and the Middle East. Although language can be a barrier for some of the foreign participants, he said that most of them coped really well since they were either a student at one of the many universities in Russia or they had the help of the Russian participants who know a foreign language. The expenses of the show are covered through advertising revenue, with the adverts that are aired during the show. Sponsors and advertisers are standing in a long line of over six months long to get there adverts aired on the show. 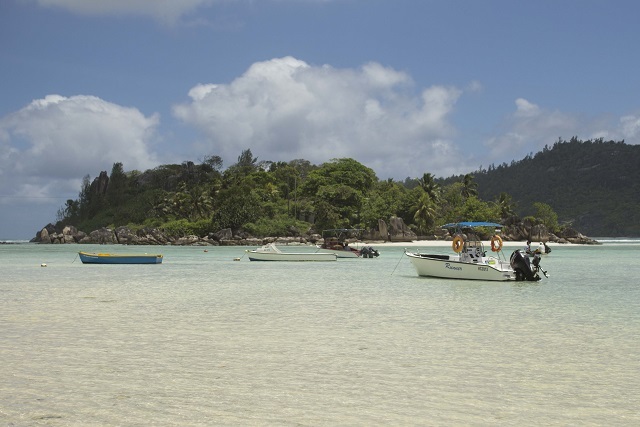 Russia is one of the main markets for visitors to Seychelles. 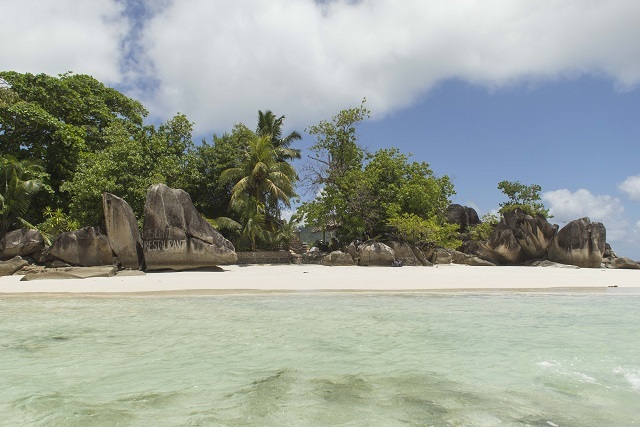 In 2014, a total of 14,793 Russians visited Seychelles, making it the 4th largest market for tourists to the country. This year there was a 13.4 percent decrease in Russian visitors from year-to date figures, according to the National Bureau of Statistics.